Wow, I just checked the posts today. Well, you see, just like the old shoehorn meme about TDS on UFN, if there is a way to shoehorn religion into a recruiting discussion, it is hard to pass up the opportunity. It’s really boring bringing it up as well. It’s like tirelessly the same excuse every damn time. One wonders why they even cheer for the school honestly. Not even close to that site, 95+% on here is sports. I get what you’re saying but I usually can’t find a sports post on the first 2 pages of that site. I do agree with keeping that crap to a minimum though. One dude posts some “mormon” posts in a single thread and now the whole site has become UFN? Na. I think the religion/culture subject is a factor when it comes to recruits. Also, I don’t see anyone talking politics. Big time hyperbole obviously. You run a great site Tony no need to even question how things are going. Ignore the poster and move on no need to moan about it. Obviously, this site is nowhere close to UFN. I never go there anymore. 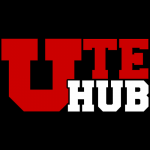 I just don’t want Ute Hub to become anything close to that. 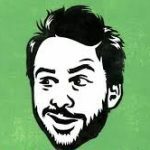 I appreciate you and the work you do to make this great site avaialable. Let us all not forget the “Ignore Pace” option now available. Is that the Sacred Grove? 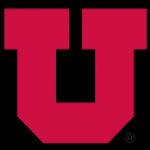 Utah Utes Message Board › Forums › Misc › Wow, I just checked the posts today. This topic contains 10 replies, has 8 voices, and was last updated by dystopiamembrane 2 months, 1 week ago.